The apple maggot is one of the most destructive and common pests of apples in the Northeast. In the larval stage, it chews its way through developing fruit flesh leaving a winding brown trail of decay. The fruit of early ripening apple trees seems to be preferred by the apple maggot as it is softer making easier eating and causing more damage than to the harder, later developing varieties. Other hosts the apple maggot feeds on includes crabapple, pear, plum, cherry, and hawthorn. 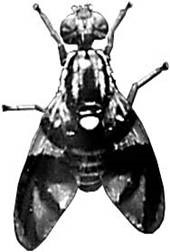 The adult of the apple maggot is a small fruit fly, ¼ inch in length with two transparent wings that have dark cross stripes making an F-shaped pattern. The body of the fly is black with white horizontal bands across the abdomen. The male has three white bands and the female has four. The larval stage is a white maggot, small and legless. The pupae stage is oval, brown, small and hard. The adult emerges out of the ground from its long dormancy beginning in mid-June. The highest number of adults emerge from late July to mid-August, but some are still coming out into September. The adults spend 10 to 14 days feeding on honeydew and moisture from the surface of fruit and leaves, flying from tree to tree and mating with other adult apple maggot flies. The females then lay eggs into the skin of the developing fruit with its egg-laying structure, called an ovipositor, from the tip of her abdomen. She punctures the skin of the apple and deposits eggs singly under the skin. One female adult can produce 200 to 500 eggs during her month of life. Mid to late July is when most egg laying happens. Within a week or two the eggs hatch into larvae and begin feeding inside the apple causing the distinctive browning trails. Earlier maturing apples are softer and sustain more damage than the harder, later maturing varieties. Some severely infested apples will drop prematurely while the larvae continue to feed in the fruit on the ground. After feeding for one to three weeks, the larvae leave the fruit and drop to the ground. They pupate in the top 1 to 3 inches of soil. 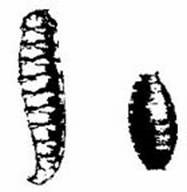 The oval puparium is a brown and hard outer case in which the true pupa is formed. The pupal stage can last one to four years in the soil. Some will emerge as adult flies the following June through September. Others will wait for the next year or two, making complete eradication difficult. Sanitation is one way to eliminate the apple maggot from your yard. This works best if there are no wild apples, crabapples or hawthorns nearby where the apple maggot can feed. At weekly intervals, pick up and discard any apples that fall to the ground before the larvae crawl out of the apple into the soil. Pick and discard any apples off the tree that have a dimpled appearance from the ovipositor of the adult female when the egg was laid and inserted under the skin. Do not compost these apples containing the larva since they could crawl out and pupate once in the compost. Either bury them a foot deep or bag them up and dispose of in the trash. Hang yellow sticky cards or red balls coated lightly with a sticky insect trap called Tangle-Foot™ or Tangle-Trap™ to catch the adults July through September. 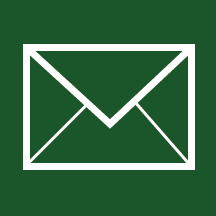 For control of apple maggots, use one sticky trap ball per fully dwarf tree (under eight feet), two to four for a semi-dwarf and six to eight for a standard size apple tree. Check traps daily to make sure birds or other wildlife are not accidentally stuck on these balls. Commercial apple maggot traps containing an apple odor lure are also available and may be safer for wildlife. Plant clover beneath apple trees to attract pollinators as well as native predators that will feed on the pupas.